Do you know someone who is struggling to manage their life due to advanced age, illness or disability? Most of us know a person like this in our own families. 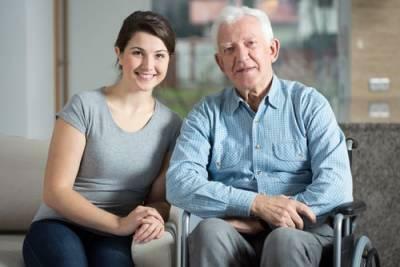 In many cases, it is possible to help a person manage their affairs by sitting down with them and assisting them with paying bills, making health care decisions, and other aspects of everyday life. While this type of assistance is fine in some situations, others may require more drastic measures. One such option may be for you to seek guardianship of the person in question, but doing so can be complicated. According to Illinois law, guardianship for an adult can only be granted by the court, but before the court can appoint a guardian, it must first determine that the adult is in need of one. Specifically, the court must find that the person in question is disabled due to deteriorating mental faculties, physical incapacitation, mental illness, or developmental disability. The court may also find a guardian to necessary for a person dealing with severe gambling, drinking, or drug problems. Most of us know at least one married couple who are living separately. In some situations, spouses may experiment with a “trial separation” while in others, they are living on their own as they prepare for a divorce. Living separately is a common precursor to divorce, but there are some things you should know about separating before you or your spouse moves out. Prior to 2016, the law in Illinois required a couple to live separate and apart for a minimum of six months before they could pursue a divorce on the grounds of irreconcilable differences. The standard requirement, in fact, was two years, but if the spouses agreed, the separation period could be reduced to six months. Today, a couple can only seek a divorce on the grounds of irreconcilable differences in Illinois, but the separation requirement has been eliminated altogether. The law was changed in 2016 to allow couples to pursue a happier post-divorce future without having to simply watch the calendar for months. If the spouses do not agree on the divorce, however, a six-month separation period is considered by the court to be irrebuttable proof that the marriage has broken down beyond repair. Divorce is a tough process for anyone. After all, no one gets married with the intent to someday divorce. Women sometimes experience different challenges during divorce than men do. There is no perfect way to end your marriage, but there are some things you can do to minimize your stress and help the process go more smoothly. Women often put other’s wants before their own. Wives and mothers are sometimes so busy looking after others that they rarely stop to think about their own needs. According to the Holmes-Rahe Stress Inventory, getting divorced is the second-most stressful life even a person can experience. Only the death of a spouse is considered to be a more stressful life event. During this time, it is important to charge your emotional battery. Whether that means going to the spa, out to lunch with friends, or sitting in your own backyard with a good book, do not be afraid to take time to de-stress while your divorce is ongoing. Although it has been nearly 13 years since she passed away, many people still remember the name Teri Schiavo from the famous right-to-die legal case which spanned from 1990 to 2005. Schiavo was only 26 years old when she suffered cardiac arrest which left her in a persistent vegetative state. Although the young woman was alive, doctors explained that she would probably never gain full consciousness. Schiavo’s husband felt that his wife would not have wanted to be kept alive through machines and fed through feeding tubes and requested that his wife have her feeding tube removed. The woman’s parents fervently disagreed with this plan and battled in court to keep their daughter alive. The case sparked increased interest in advance directive measures that allow a person to ensure their wishes regarding medical treatment will be followed in the event they are incapacitated. If you are a parent who is getting divorced or planning to, you are probably concerned about how you and your soon-to-be-ex-spouse will raise your children. If you plan on raising the kids together through a shared parenting scenario, you should know that there are some unique methods of co-parenting which have helped many families. These growing trends offer an alternative to traditional post-divorce living situations. The majority of couples who get divorced end up living separately from each other. 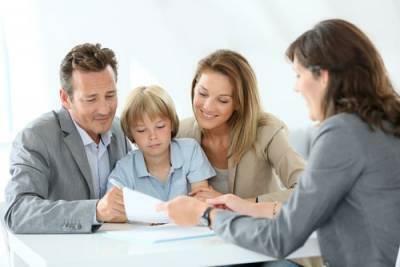 The most common living arrangement for parents who get divorced is for children to visit each parent at their home. Some experts find this arrangement to be especially burdensome on the children who are splitting their time between two homes. As an alternative, some parents are choosing to use what some call “the bird’s nest” strategy: The children live in one home and the parents take turns living there. For example, a parent may stay with the children one week in the “nest” home and then the other parent comes to stay with the children the following week. 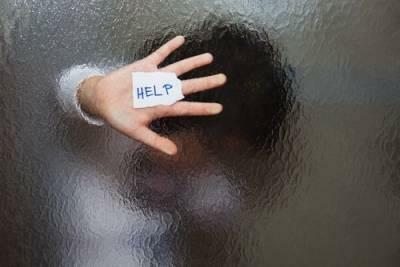 When the parents are not at the nest home, they are living in their own individual home. While many find this co-parenting strategy to be effective, it can also be quite expensive since it usually requires the couple to finance a third home for the children. There is some confusion in the general public as to the extent that a spouse’s adultery can affect a divorce case. Television and movies often show an enraged husband or wife discovering that their partner is having an affair and yelling about how they are going to take the house and have full custody of their children. Although adultery is still frowned upon by society, it is usually irrelevant to divorce proceedings. No matter how old or young you are, if you are married, there is the possibility that you could get divorced. Most people, however, tend to think of divorce as a reality that mostly affects couples who are relatively older. 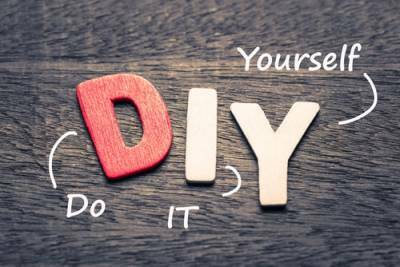 These notions may be linked to movies and television where a wandering eye or a mid-life crisis drives spouses apart when they are in their early forties or older. Divorce, however, can also become necessary for couples who are far younger, and those who get divorced in their 20s may face years of potential complications. This is especially true for 20-somethings with children. Human beings are social creatures, and most of us derive a sense of belonging when we find a peer group where we feel comfortable. If you are recently divorced with no children, it may be relatively easy to socialize with other younger singles. If you have children, however, you may feel stuck in the middle. On one hand, our parental responsibilities may not allow to you enjoy the spontaneous, carefree lifestyle of single people your age. On the other hand, you may not feel very comfortable among other parents, especially those who might be a bit older or whose marriage is still intact. It is, however, important to avoid cutting yourself off completely from social situations. Find a sitter every now and again, and go out and a have a good time. Parents who get divorced almost always share the same top concern: how will the divorce affect their children? Divorce is a deeply stressful even for children of all ages to go through. They are losing the only reality they have ever been familiar with and plunging into the unknown. However, there are also many benefits to children when their parents’ divorce, some of which may surprise you. Researchers from UCLA looked at 47 studies that connected children’s experiences in tension-filled home environments to later problems in adulthood. The researchers found what many would suspect: Children that experience high levels of conflict at home had more physical, emotional, and social issues later in life compared to control groups. As adults, those who grew up in homes with intense arguments or feuding parents, were more likely to report vascular and immune problems, depression, substance abuse and addiction, loneliness, and problems with intimacy that those who did not grow up in high-conflict households. Research also shows that it is not only households with a lot of overt aggression or yelling that cause these issues for children. Stonewalling or a parent giving the other the “silent treatment” were also destructive actions with regard to children’s long-term mental health. Upon reading the title to this blog post, you may be thinking to yourself that all divorces are high in conflict. This is certainly true. Divorce is the second-most stressful life even a person can endure and it often brings out the worst in people. However, although many who divorce have feelings of resentment, guilt, or anger, they are still willing to work toward a common goal. In high-conflict divorces, one or both spouses are not willing to work together and instead work to tear each other down. In this type of divorce, a couple engages in hostile confrontation instead of legal negotiation about the issues at hand. This can be nearly unbearable for a spouse who actually does want to reach conclusions about spousal support, child support, parenting time, or property division. If you are currently experiencing a high conflict divorce, or you might be in the future, know that there is light at the end of the tunnel. While there is no way that you can change how you spouse reacts to a divorce, you can change yourself. There are a few guidelines that experts suggest can help spouses manage high-conflict divorces and reach the conclusion they desire. 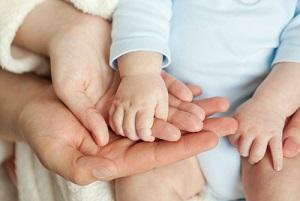 The true purpose of estate planning is to protect your assets and to provide for your family- even after you pass away. 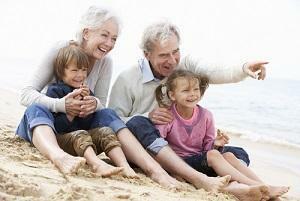 Planning for your future now can save your loved ones months of frustration and uncertainty in the future. 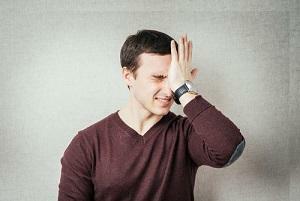 There exists some misinformation regarding estate planning, and this can lead to mistakes. 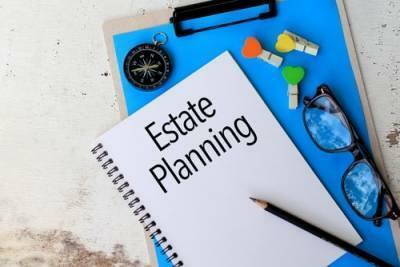 Those who are not aware of all their estate planning choices and the benefits and drawbacks of each choice may not be informed enough to avoid these common missteps. Assuming that a last will and testament is the best choice for distributing assets after death is a common oversight. Although a will is more common, a revocable living trust may be the better option for some. A revocable living trust is a legal arrangement created to hold ownership of an individual's assets—similar to a will. However, assets left through a living trust do not have to pass through probate, which is the court system designed to prove the validity of a will. 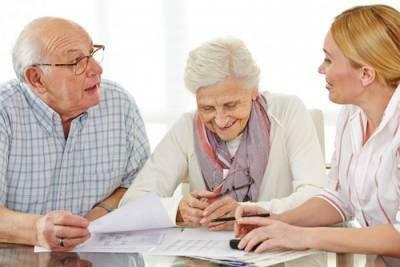 Probate can be lengthy and also makes the content of a will public information. The information contained in living trusts does not have to go through probate and stays private. 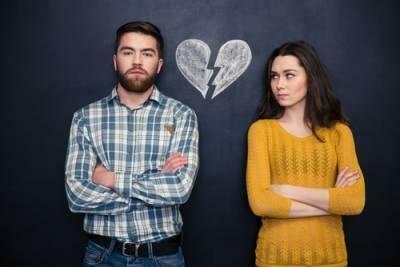 There are many reasons why a couple’s marriage may break down. In some cases, the two spouses simply got married before they were ready for the commitment. 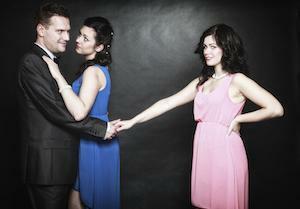 Other times, one of the spouses is unfaithful and causes hardship in the marriage through his or her infidelity. 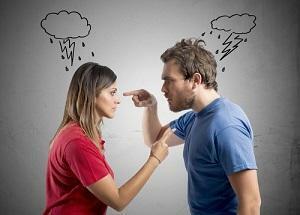 However, one of the biggest causes of marital stress is money. Couples argue about whether to spend or save money, what to spend it one, or how their money should be managed. A study conducted by the American Psychological Association found that about 75 percent of Americans are experiencing financial stress at least some of the time. Furthermore, almost a quarter of U.S residents are experiencing extreme financial stress. Couples do not have to be living paycheck to paycheck to experience this stress. Many financially-secure couples also experience the stress of not knowing which money decisions are right for them and their family. 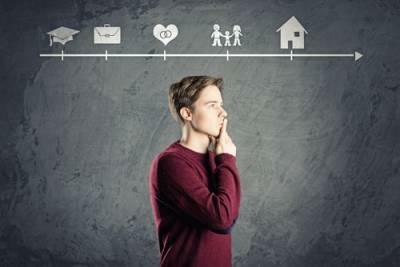 Although it is not necessarily a pleasant thought, even young parents who are in good health should not hesitate to start creating an estate plan. Parents of minor children need to plan for the possibility that they may pass away before their children reach adulthood. Because those under 18 years of age do not have the legal standing or rational thinking ability to make decisions about their care and finances, an adult must act on their behalf. When parents of minor children create an estate plan, two of the concerns they should address are who will be the guardian of their children should they pass away and who will manage their children’s assets. By planning for the worst, parents can have the peace of mind knowing that if something ever happened to them, their children would be raised and cared for by individuals that the parent’s themselves selected.